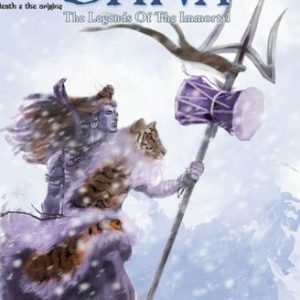 View cart “Shiva: The Legends of the Immortal (Book – 3)” has been added to your cart. 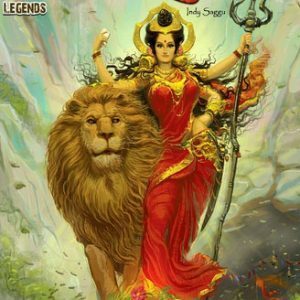 Amid glorious celebrations, the Divine Warrior finally sits down and tells his tale. 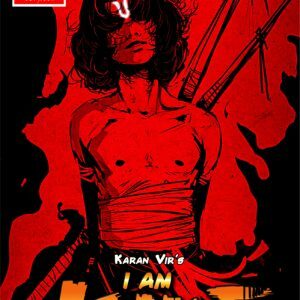 The Sixth – Vimanika Comics’ string of bestselling graphic novels revolving around Karna, the protagonist of Mahabharata are now offered in intricate casing! 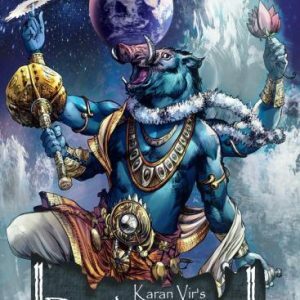 From humble beginnings of the son of Surya to the modern day Karan Vir’s adventure, this amazing graphic novel told in six parts is sure to make every collector drool. Most of these issues are now out of print but for once and once only, our house is re-printing this epic for all those loving fans who want to own a pure piece of mythology. Issues 00 – 06, a grand story in themselves are now bound into a single Comic book ! And with a well-fabricated, nicely stitched cover that would definitely be a beautiful showcase on its own, readers don’t have to think twice before getting this home. If all that weren’t enough, a brand new poster of The Warrior himself comes absolutely FREE with the box! Here lies the story of Karna, the son of Surya, offered by the Gods themselves and enwrapped in breathtaking beauty. Take it now. You may not get this chance again.